There was a survey conducted earlier this year by Princeton Survey Research Associates International on behalf of InsuranceQuotes.com that found 60% of Millennials (18-29 yrs old) are renters. In other surveys, it's been reported that 68% of ALL renters don't have renters insurance. My guess is for the Millennials out there their percentage is even higher. Why is this? The survey answers reveal 5 Misconceptions Renters Like to Believe about Arizona Renters Insurance which I'll share here. Misconception #1 - Renters believe that their apartment security is enough. Unfortunately, statistics don't bear this out. Renters are 50% more likely to have a theft than homeowners. If you think about this, apartment complexes give a false sense of security in many different ways. It could be the fact that there are gates at the entrance. Or maybe there is onsite security. Or perhaps you think your neighbors are watching out for each other. The fact is, theft can occur any time at any place. Arizona Renters Insurance will provide theft coverage on and off premises. Many thefts of personal property happen because of break-in's of one's car for example. Misconception #2 - Renters believe that the value of their possessions isn't large enough to warrant renters insurance. This is definitely a millennial mindset. Most of us underestimate the value of our stuff, especially if we needed to replace the item. We look at our worn couch and don't assign much value to it but in reality, to replace that couch it would cost more than we think. Also, many just think of their tv's and other electronics, or bigger items of furniture and fail to consider how much it would cost to replace clothing, shoes, linens, kitchen items, etc if a major loss occurred. Misconception #3 - Renters believe that renters insurance costs too much. 45% of renters believe this to be true. In fact, the survey stated that 29% of Millennials believed that renters insurance costs more than $1,000. The fact is, Arizona renters insurance generally costs between $180-$300 annually unless you have more stuff. For $15-$25 per month, you could have excellent coverage for all your stuff. Misconception #4 - Renters are not even aware that Arizona Renters Insurance exists or how it works. This is the fault of the insurance industry for not informing renters about this valuable coverage and its availability and how it works. In a future blog, I'll discuss the coverages available in an Arizona Renters Insurance policy. Renters Insurance is available for anyone renting an apartment, home, and Mobilehome. If you rent a room from someone you can get renters insurance for your stuff. Misconception #5 - Renters believe that their Landlord will cover them. I hear this all the time. The apartment complex or the owner of the home is not responsible for your stuff. Their policy excludes your stuff and in fact, if you're negligent for causing damage to the property such as a fire in the kitchen, the landlord's insurance policy will seek to be reimbursed by you, the tenant. Your own Arizona renters insurance would provide liability coverage for situations like this. 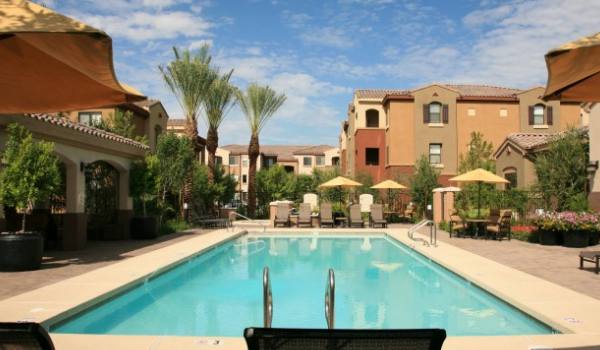 My Monday blog will discuss all the coverages and protections available with an Arizona Renters Insurance policy. Keep an eye out for that post. If you would like to get an insurance quote, you can call the office at (480) 336-2707 or request a quote by clicking -> Renters Insurance Quote.